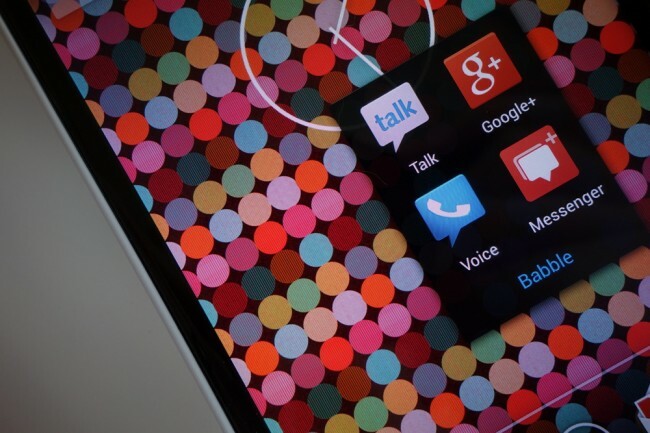 According to sources who spoke with Geek.com, Google is readying a unified chat client called “Babble” that will merge Google Talk, Google+ Messenger, Voice, and any other platform used to send messages across their services. The goal for Babble is to overtake platforms like iMessage and Blackberry Messenger, which none of its separate parts have been able to do thus far. These same sources said that Babble will help push Google’s trend of organization by conversation. Through this new messenger client, you’ll be able to share photos in chat windows or start a Hangout with anyone on your contact list, while maintaining threaded conversations across multiple services, something you cannot necessarily do at this point. After introduction, Babble will offer the same sets of features everywhere. A timeframe for release has not been given, but as with anything Google-related these days, Google I/O is probably going to be a great time for an unveiling. I for one am extremely excited about this news, should it be true. For far too long have we wished for a more powerful chat client that works across all Google services. The broken lines between Google Talk, Google+ Messenger and Google Voice have been beyond frustrating at times. This seems like a service that should have been introduced ages ago, but the solution may not have been the simplest, especially when you look at the ever-increasing number of Google services these days.